All of our sites are built in-house. They are unique and customized. We like to think (and design) "out of the box:"
Once we are finished, your site will be the perfect reflection of your business or service. If you have ever caught yourself saying: "...yes, we have a web site BUT, we're still working on it" or "our site is a little out of date..." or "...we're waiting on the webmaster to update it ..." then you need to contact Kate or Sheridan with Wild-WestWebs. YOU SHOULD NEVER HAVE TO APOLOGIZE FOR YOUR SITE! It's our job to make the process of obtaining or updating your web presence as easy as possible. You won't need any computer skills or understanding of the terminology. Wild-West Webs can handle every detail and advise you during the entire process. We encourage your thoughts on what exactly you are wanting and then would like to be given the opportunity to offer our suggestions, solutions and map out potential strategies to best suit your needs. You know your business best, but strategic Internet marketing, creating premium print material targeted directly to your audience and organizing your content, photos and information is what we do best. Wild-West Webs has a long track record in creating branding and organizing company media to where it is quickly available to both your customers/clients and employees. Image is everything in business today and your product and services requires the best presentation possible to stay competitive in today's market. A business needs a responsive, reliable and secure website. After-all your website is the first point of call for most potential customers. Your website reflects your business and Wild-West Webs can create you a site to best represent your business or service and to give the right impression. Please contact us. We'd like to discuss your website, print ads, brochures and how you can build stronger relationships with your audience to increase sales, awareness and traffic to your site. Social Media and Internet Marketing Solutions! 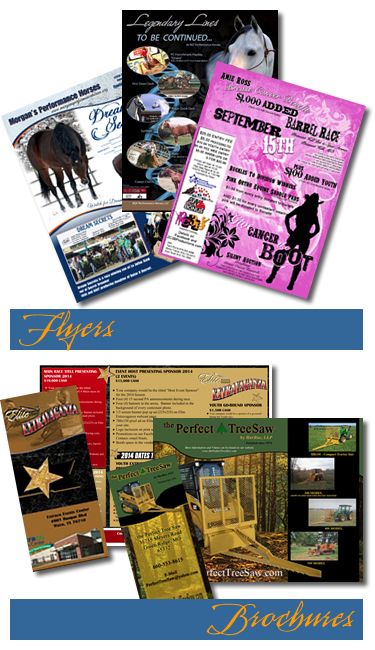 Barrel Horse News Ads, Barrel Racer News Full Color Ads, Facebook Pages Created, Facebook Page Management & More! 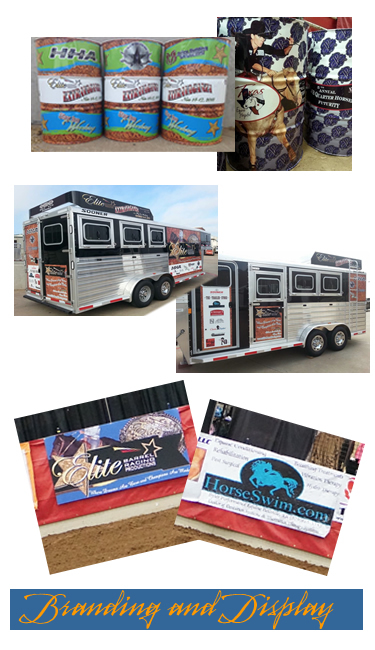 For all equine businesses ranging from the small family business to full working ranch's, event producers, clubs & associations. If needed, we will help you obtain a domain name and custom build your web site at an affordable start-up cost. No standard templates are used to create your site; every web site design by Wild-WestWebs is an original piece of equine art. Your site will be unique and will promote your equine business with "WOW". You will find that we are reliable, professional, affordable, and available. Have your equine web site designed by someone familiar with the horse industry and just a hint of "horse-sense". Our staff consist of real "cowgirls" who barrel race competitively, own and ride and have dedicated years raising, caring for and sharing their lives with horses. barrel racing horses...and we don't want out! If you need graphics for your online business, Wild-WestWebs can assist you. Facebook Pages Created * Facebook Page Management & More! We offer customized packages and price quotes for all businesses large or small. Wild-WestWebs can create a new site for your business, update and modernize an older site, or simply update text and content to your current site if you only need maintenance. Effective Social Media Marketing thru the use of Facebook, Twitter is an easy, affordable way to connect, engage and grow customer relationships!